Installing a roof is one of the most complicated construction projects. Because roofing is vital to protect the rest of a house or building from weather and moisture, it's essential that care is taken with every step of its production. The following issues with commercial roof installation in Fort Myers can occur with inexperienced or irresponsible contractors, and may result in future damage and high repair costs. Roof installation requires industrial adhesives to seal the seams around joints and flashing. Cold adhesives need time to properly dry, so seams that are accidently exposed to rain or damp before they're completely cured can fail later, as can seams that are not correctly heat-welded. Moisture leaking through these opened seams can cause leaks. Moreover, if the roof's surface isn't fully adhered to the substrate, strong winds can lift up the roof, causing billowing and cracks, and even blowing off the entire roof in gales. Even flat roofs must have some slight degree of slope to allow for drainage. During a commercial roof installation in Fort Myers, tapered insulation, or specially designed ridges known as crickets, should be added to a dead-level roof to keep rainwater from ponding. The asphalt used to install standard low-slope built-up roofs must be heated to the correct temperature, or else it can hasten aging and cause blistering, the bubbling up of the roof surface. Larger blisters are prone to breaking, leading to leaks. Additionally, the roof's membrane must be properly torched or else slippage and wrinkles can occur. Heated asphalt also poses a significant safety concern due to its high temperature, and proper precautions must be taken when using it to prevent burns and other injuries. Due to the complex nature of installing roofing systems, many problems can occur during the process. To avoid having to pay for later repairs or replacements, business owners should look for Experienced, trained professionals to handle their commercial roof installation in Fort Myers. Do My Gutters Need Repaired or Replaced? Rain gutters are something we can take for granted. 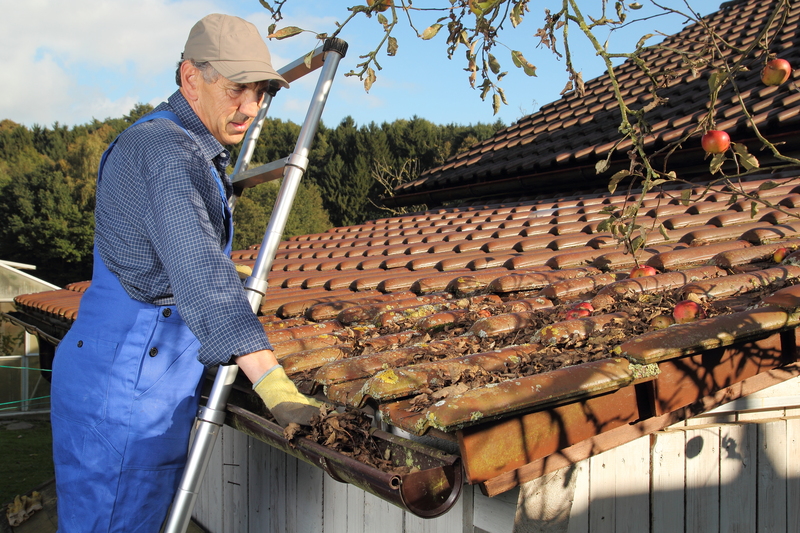 Like brakes or cable television, gutters go under-appreciated until they fail. You might not need anyone to tell you when you need gutter repair in Fort Myers, but some of the signs aren’t that obvious. The job of gutters and downspouts is to collect rainwater and carry it away from the sides and foundation of your home. They also help reduce erosion, prevent leaks in crawlspaces, protect painted or stained surfaces by reducing exposure to water and provide a means to collect rainwater for later use. When gutters fail, water can pool around the base of your home, eroding the soil and staining the siding. The crawlspace under your home, if you have one, will start to collect the water. There are many types of gutters from which to choose. For about 30 years, aluminum gutters have been available. This economical choice is rustproof and easy to shape. Since they are available in an array of colors, they don’t necessarily have to be painted, but the process is easy if you need to change the color. Prior to aluminum being used, gutters were typically made from galvanized steel. While strong and durable, they were difficult to install and they were difficult to paint. Other materials available now are PVC, cast iron, lead, zinc, galvanized steel, copper, concrete, stone and wood. The choices you have for gutter repair in Fort Myers are dependent upon the structure of your home, the style you wish to convey and your budget. Rain gutters can be equipped with add-ons to help keep debris like leaves and twigs from clogging the drainage system. Devices like louvers, hoods and screens allow rainwater to filter through and flow to the downspouts and away from your home. 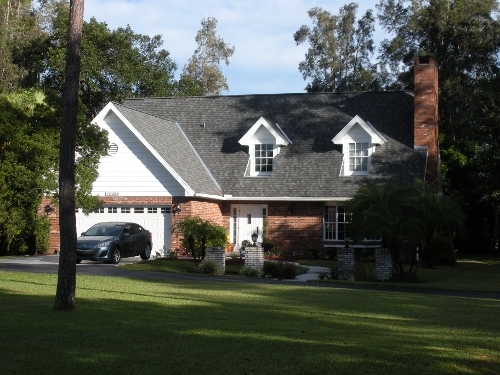 When you need gutter repair in Fort Myers, call an experienced roofing company to get the job done right the first time. They can let you know if repairs are needed or if replacement is your best option.